We've written before about the ways in which you can find the best apps for your mobile devices, and there's a new tool we'd like to add to the list: #Homescreen takes a look at the apps you already have installed and recommends new ones, based on other users like you. Here's how to use it to find some great new apps. 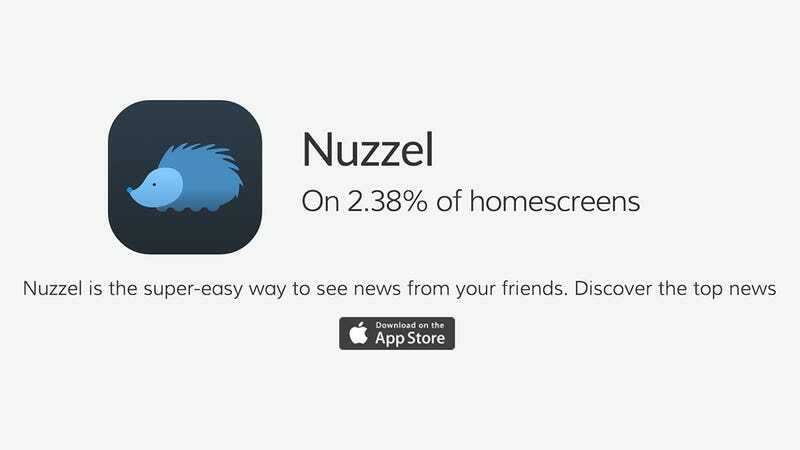 The best place to start is probably the #Homescreen app, which scans your existing home screens for you automatically. It's free to use for devices running iOS 7.1 or later and you're going to need a Twitter account enabled in order to use it. You'll be prompted to take a screenshot of one or more of your home screens which are then uploaded to the #Homescreen site with your Twitter handle attached. From there you can switch to the web interface to review the apps and correct any errors; once that's done, it's probably easiest to switch to a desktop computer so everything's easier to get at. Hovering over an app in your browser reveals just how many home screens it appears on—a sign of its relative popularity—and if you click through then you can explore a list of similar apps that you might want to check out. There are three options to pick from: Apps that are in the same folders, apps that are on the same home screens, and users who have the same app installed (organized by several different criteria). You can therefore explore similar apps or have a poke through the home screens of other users with the same app installed. If you see something you like, then the App Store links are included in each app page. There's also a Top Apps list, refreshed every week, that's usually worth a look.